So, I have had this idea since last year and I am hoping that this year, I will actually get to act on it. As you all know, I am rather ridiculously fond of Greek mythology and I have been trying to do something like this for a while now. Basically what I want to do is to read at least one Greek myth/ tragedy retelling a month. 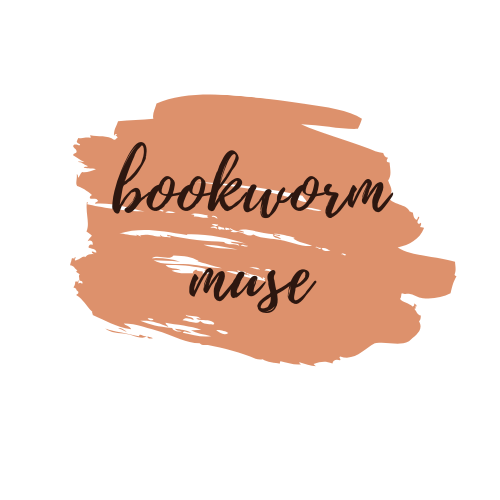 I recently even asked about book recommendations over on my bookstagram and Rachel from Pace, Amore, Libri came to my rescue. What a great friend she is, seriously! So the following is the list of books I am hoping to read during the year. There’s no restriction or plan regarding what order I will read them in because we all learned the hard lesson last year about setting strict tbrs. So, without further ado, let’s just look at the list, shall we? 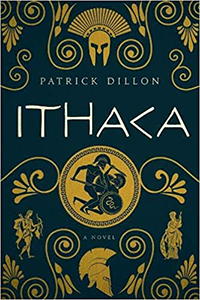 A very moving and touching retelling of The Iliad with Patroclus as the voice and eyes of the narrator. I absolutely fell in love with this one since the first time I read it and I can’t wait to read it again. As the title suggests, this book is all about Circe and how she becomes herself more and more as the time passes. Miller’s writing has made this experience even richer than I expected to have. It spans centuries and you can really see how Circe changes with the turns of the century. 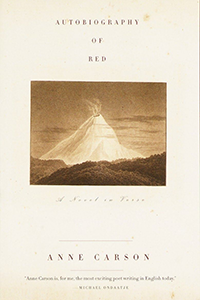 Another one I can’t wait to re-read. 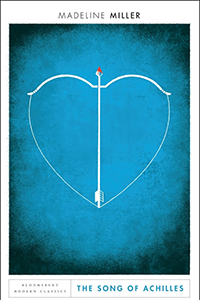 Another retelling of The Iliad, this one from the perspective of Briseis, a war prize for Achilles in the Iliad. 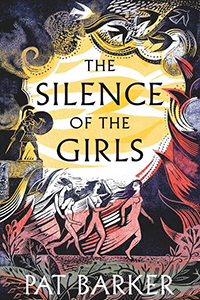 In this book, Barker gives voice to the women of the Trojan war and I can’t wait to read it because from what I have heard, it’s amazingly written and thoroughly heartbreaking. 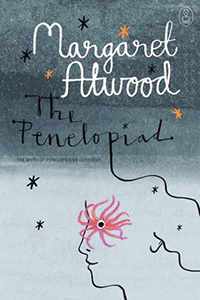 This is the story of Penelope, the faithful wife of Odysseus and what she did during those long years in which she waited for her husband to come home while she fended off the suitors and raise a son. I have never read Margaret Atwood but I am not sorry to start off with this one because it sounds really interesting. 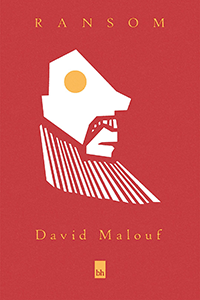 A retelling of the Oresteia, it revolves around the house of Atreus ( a house already infamous for deeds unfathomable), in this tale, it’s all about Agamemnon and Clytemnestra, the aftermath of their deeds reflecting on their children Iphigenia, Electra and Orestes. This is something that promises to be a very good read, I hope I enjoy it as much as I have enjoyed the anticipation of it. From the blurb, I gather that this is the story of Telemachus, son of Odysseus. 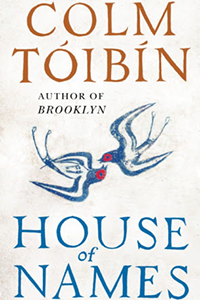 From journeying across the kingdoms and cities, he tries to understand exactly what happened to his father and why Odysseus hasn’t been able to come home. In between that, his personal journey of growing into adulthood is also mentioned. It all sounds very interesting. Although I won’t name the particular myth from which this is loosely based, I can say for certain that this book is very good. I have heard it from very trustworthy sources. I shan’t say more on this one, let it remain a mystery. 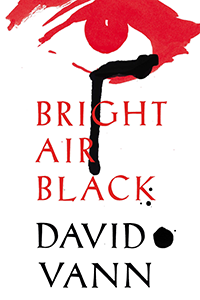 However the blurb alone should be enticing if you care to read it. 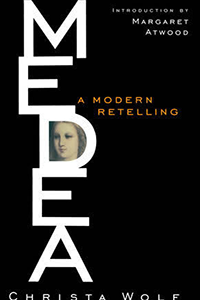 A thoroughly intriguing character, Medea is quite infamous for sacrificing her own children, in this book, Wolf offers a perspective from outside the myth. I am hoping I will end up loving this because Medea is one of the most intriguing characters from the Greek myths for me, personally. A different take on Antigone and Oedipus, this one explores the myth from the perspectives of female characters that aren’t given enough voice in the myths. I love it when myths are explored from different perspectives so can’t wait to delve into this one. As the ill-fated visions of Cassandra drew her contempt, I had been so angry and furious on her behalf. This is, I think, the first time I will be reading anything from her perspective so I am ready for this ride. Truly. A memorable retelling of the time when Priam, king of Troy, tries to ransom his son, Hector’s body back to him from Achilles. This one sentence is enough for me to realise that this is going to be full of pain and sorrow and heartache. From what I understand from the blurb, this is a wild ride which steers away from the “canon” and jumps off into something amazing. It’s the story of Pyrrhus, son of Achilles who is now working as a go-go boy? I am confused and intrigued. 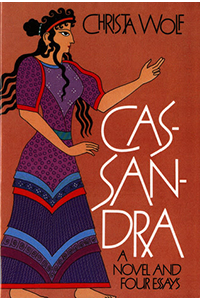 Another take on Medea, this ancient tale offers a thrilling, realist alternative to the long held notions of Medea as monster or sorceress. I can not wait, you can not have enough Medea in your life, tbh. 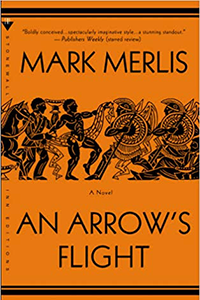 This is an unconventional re-creation of an ancient Greek myth and a wholly original coming-of-age story set in the present. A very loose retelling of Geryon and Herakles, it sounds so good and I am just sat here making grabby hands, tbh. 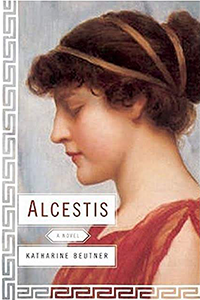 This book is about the good wife, Alcestis, who gives up her life in order for her husband to live. 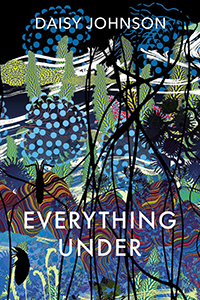 This story goes beyond that, however and explores how in the Underworld, Alcestis has to redefine love and loss in the afterlife. A very short retelling of Galatea, a carving of ivory made by Pygmalion. Galatea might not have asked to be alive but she is, and she is not wholly happy at the prospect of it. Instead of the hinted happily ever after, Miller explores a more realistic road for this one. 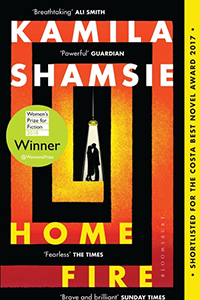 A modern retelling of Antigone, this book has wowed so many people already and I am perhaps one of the last ones on earth to not have read it. Oh well, that’s about to change. Now I am aware that I might not actually be able to read all of them but frankly, at least I will have a list to refer to if I end up reading at least one book a month. I will count that as a win! I am trying to be more organised in my reading but not setting any monthly tbrs, I think this way, I am more likely to follow whatever goals I set for myself. Or at least, I hope. We will see at the end of the year how I did with this one at least. If you are interested in this then feel free to join in and read any of these and if you have more recommendations then please, absolutely do not hesitate to tell me about them! I am always up for a good retelling. 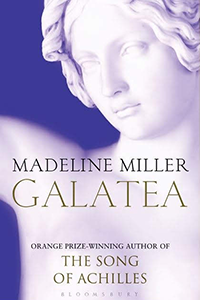 So, I have already read Galatea by Madeline Miller this month and I have also read the other two titles by the same author already however I do want to re-read both the books again but they won’t be a priority for a little while. That’s it for this one but I am super excited to read these books! This list looks fantastic! I love to read all of them but might start with Galatea because of how much I loved her other books. Song of Achilles makes me cry. Galatea is the shortest of the list, I think. Just 32 pages. Also that book tends to do that to readers. Ahhh yay I’m SO excited about this project! I really hope you end up finding some new favorites! There are a couple on here that I still need to read as well, and I’m particularly excited about Children of Jocasta. 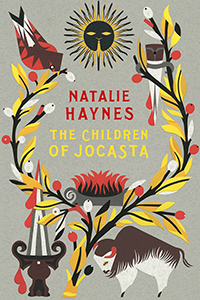 I just found out the other day that Haynes has a new book coming out this summer which is an Iliad retelling from the POV of multiple female characters and I am SO ready for that. I really hope so too! Also yay for a new retelling! 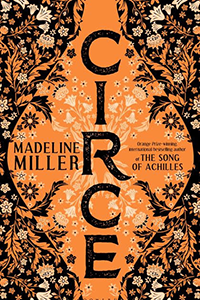 Circe is very different from The Song of Achilles and perhaps that made it harder for people to connect to it. However it was a five star read for me. And I have heard so many great things about The Silence of the Girls as well as Home Fire too! Can’t wait to read them both. I think that really was one of the reasons for people to not like/ connect to it, at least for those who had read her previous book.